As part of a multi-year endowment from PCOS Diva, the nonprofit organization PCOS Challenge, Inc. will be offering grants of up to $500 to help women and girls struggling with hair and skin issues related to Polycystic Ovary Syndrome (PCOS). The PCOS Diva/PCOS Challenge Confidence Grant assists with the costs associated with dermatology treatments, laser hair removal or electrolysis. “PCOS Diva’s mission is to empower women with PCOS to reclaim their fertility, femininity, health and happiness. One of the most difficult PCOS symptoms many women experience is hirsutism or unwanted, male-pattern hair growth in women. I personally have struggled with this symptom, and laser hair removal was a lifesaver for me. It helped me regain my confidence and self-esteem. Because hair removal and other hair and skin treatments can be cost-prohibitive, I am thrilled to be able to help women who may not be able to afford the expense to reclaim their femininity through the Confidence Grant,” says Amy Medling, Founder of PCOS Diva. Applications for the PCOS Diva/PCOS Challenge Confidence Grant will be reviewed and selected twice per year – once in the spring and once in the fall. For more information about the PCOS Diva/PCOS Challenge Confidence Grant, deadlines, how to apply or make a contribution, visit https://www.pcoschallenge.org/confidence-grant. PCOS Diva’s mission is one of hope and transformation. The resources, guidance, and support offered through PCOSDiva.com have helped thousands of women take control of their PCOS and live their lives to the fullest while healing their bodies, minds and spirits. PCOS Diva offers all the tools you need to take control and thrive, from daily inspirations, to supplements, menus, online programs and the support of a community that understands. 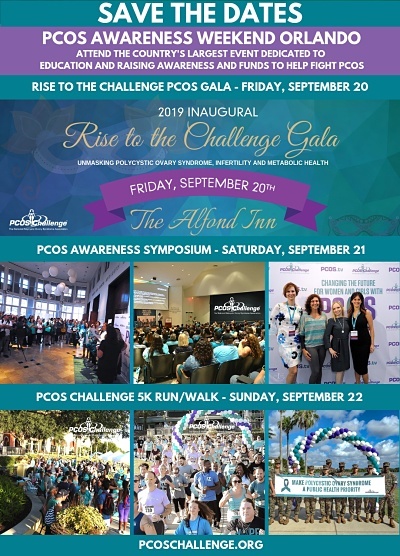 PCOS Challenge, Inc. is the leading 501(c)(3) nonprofit support organization advancing the cause for women with Polycystic Ovary Syndrome, serving nearly 35,000 members. The organization touches the lives of women with PCOS and their supporters each year through television and radio programming, online and offline support groups, and education and awareness initiatives. Since PCOS Challenge began its programs in 2009, the organization has helped many women find answers that have helped them overcome their struggles with infertility, weight gain, hirsutism, anxiety and depression and reduce their risk for numerous life-threatening related diseases.